A 28-year-old man came to our Department of Radiodiagnosis for an orthopentogram, and CT of the face and upper thorax. The patient had presented to the oral-maxillofacial surgery clinic with the complaint of numerous unerupted teeth and pus discharge from gum. 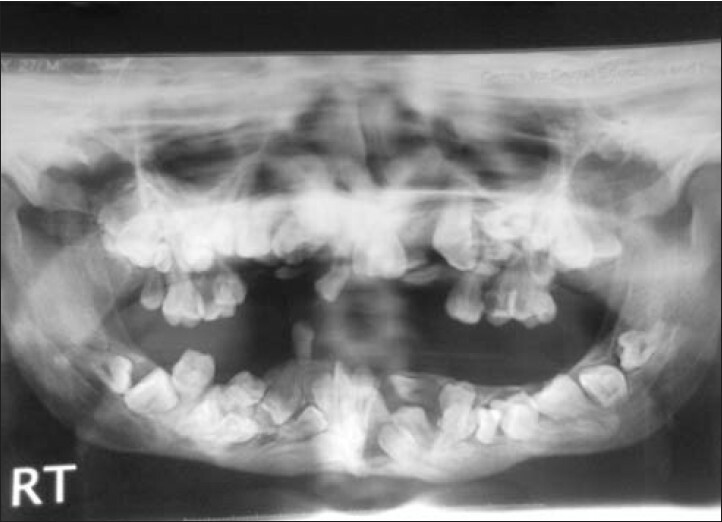 Panorex radiograph revealed multiple disorganized crowded deciduous and permanent teeth within the expanded maxillary, and mandibular alveolar processes [Figure 1]. Many of the teeth were unerupted or only partially erupted. Precise evaluation of anatomic relationships among teeth was difficult secondary to overlap. This problem was worst in the areas of teeth crowding. Lucencies around the unerupted teeth, possibly representing normal follicles, were present; however, ill-defined borders may have indicated a superimposed inflammatory/infectious process. The gonial angle of the mandible was obtuse. The surface-rendered 3D image gave an overview of these deformities. Irregular dentition was best delineated with volume-rendered display. Interactive review at the workstation with rotation in any axis bony to soft tissue and simultaneous orthogonal/oblique multiplanar reconstructions allowed a thorough understanding of all the abnormalities. Now latest multislice CT scan software reformatted and reconstructed 3D surface-shaded, volume-rendered and inspace images demonstrated detailed anatomic and pathologic features of the teeth and facial bones in this patient with pyknodysostosis. Very excellent delineation of unerupted and partially erupted teeth was obtained. Although few cases of pyknodysostosis of cranio-maxillofacial abnormalities were described in CT scan modality, but presented case we were described in multislice CT with reconstructed 3D surface-shaded, volume-rendered and inspace images. We also described clinically as well as panoramic studies of pyknodysostosis. The purpose of multislice CT was to understand the complete abnormal cranio-maxillofacial anatomy and was useful to plan tooth extraction and/or implantation of prosthetics as well as to know earlier changes of dental abscess and/or carries development. Here, we also highlighted overlap features of cleidocranial dysostosis, and dorsal kyposcolisis. 1. Helms CA. Metabolic bone disease. In: Brant WE, Helms CA, editors. Fundamentals of Diagnostic Radiology. Philadelphia: Lippincott Williams & Wilkins; 1999. p. 1049-59. 2. Beighton P, Horan F, Hamersma H. A review of the osteopetroses. Postgrad Med J 1977;53:507-16. 3. Bathi RJ, Masur VN. Pyknodysostosis A report of two cases with a brief review of the literature. Int J Oral Maxillofac Surg 2000;29:439-42. 4. Mujawar Q, Naganoor R, Patil H, Thobbi AN, Ukkali S, Malagi N.Pycnodysostosis with unusual findings: A case report. Cases J 2009;2:6544. 5. Alves Pereira D, Berini Aytés L, Gay Escoda C. Pycnodysostosis. A report of 3 clinical cases. Med Oral Patol Oral Cir Bucal 2008;13:E633-5. 6. Fleming KW, Barest G, Sakai O. Dental and facial bone abnormalities in pyknodysostosis: CT findings. AJNR Am J Neuroradiol 2007;28:132-4. 7. Caracas HP, Figueiredo PS, Mestrinho HD, Acevedo AC, Leite AF. Pycnodysostosis with craniosynostosis: Case report of the craniofacial and oral features. Clin Dysmorphol 2012;21:19-21. 8. Hunt NP, Cunningham SJ, Adnan N, Harris M. The dental, craniofacial, and biochemical features of pyknodysostosis: A report of three new cases. J Oral Maxillofac Surg 1998;56:497-504. 9. Glass RB, Fernbach SK, Norton KI, Choi PS, Naidich TP. The infant skull: A vault of information. Radiographics 2004;24:507-22. 10. Krane SM, Schiller AL. Hyperostosis, fibrous dysplasia, and other dysplasias of bone and cartilage. In: Fauci AS, Braunwald E, Isselbacher KJ, Wilson JD, Martin JB, Kasper DL, editors. Harrison's Principles of Internal Medicine. New York: McGraw-Hill; 1998. p. 2269-75. 11. Gelb BD, Shi GP, Chapman HA, Desnick RJ. 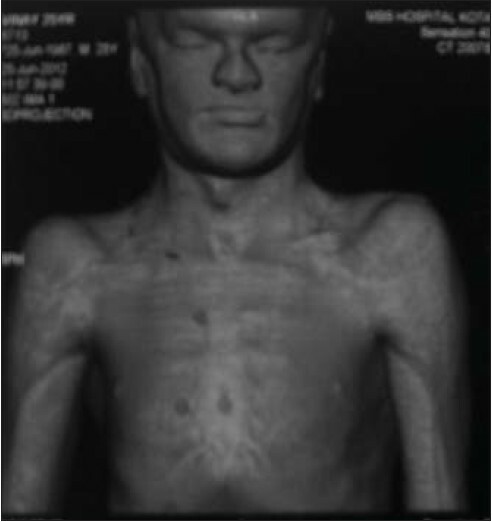 Pycnodysostosis, a lysosomal disease caused by cathepsin K deficiency. Science 1996;273:1236-8. 12. Fratzl-Zelman N, Valenta A, Roschger P, Nader A, Gelb BD, Fratzl P, et al. 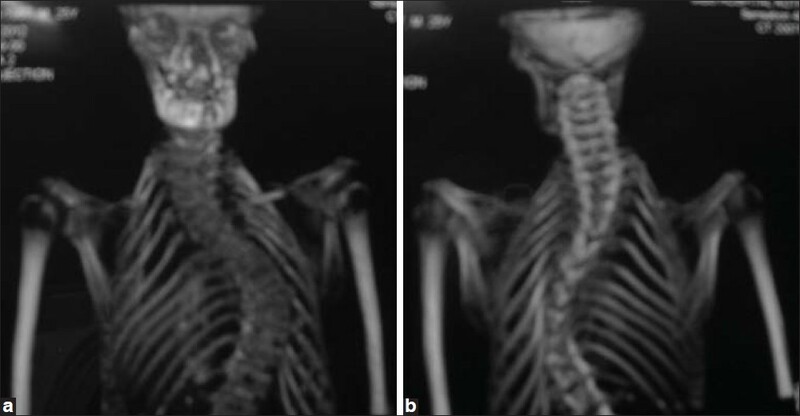 Decreased bone turnover and deterioration of bone structure in two cases of pycnodysostosis. J Clin Endocrinol Metab 2004;89:1538-47. 13. Elster AD, Theros EG, Key LL, Chen MY. Cranial imaging in autosomal recessive osteopetrosis. Part I. Facial bones and calvarium. Radiology 1992;183:129-35. 14. Karkabi S, Reis ND, Linn S, Edelson G, Tzehoval E, Zakut V, et al. Pyknodysostosis: Imaging and laboratory observations. Calcif Tissue Int 1993;53:170-3.